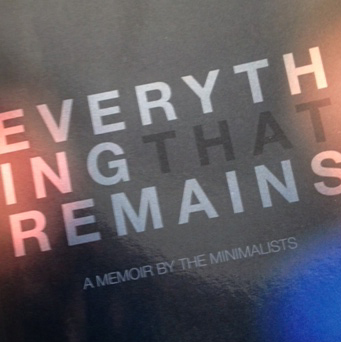 Everything that Remains: A Memoir by The Minimalists by Joshua Fields Millburn and Ryan Nicodemus (www.theminimalists.com) is the best book of non-fiction I’ve read in a long time. I’m going to be posting some thoughts regarding Minimalism in the near future. For now, if you are even remotely interested in trying to break free from the burden of possessions, drop everything and read this book.